1. 11 Nights aboard the Silver Sea – Begin your cruise in Shanghai and enjoy the beautiful and exotic ports of Dalian, Tianjin, Jeju, Pusan, and Hiroshima before stopping in Tokyo. 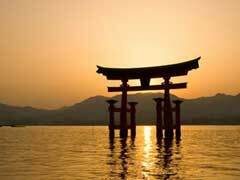 This is a great way to visit the many beautiful and historic ports of Japan. 2. 5 Nights Aboard the Costa Victoria – This cruise is offered by Costa cruises and starts in Shanghai before making stops in Cheju, Fukuoka and Hososhima. This is a great way to enjoy and soak up some traditional Japanese culture and way of life. 3. 5 Night Asian Legacies Cruise – Begin your trip in Shanghai before climbing aboard and traveling to Fukuoka, Nagasaki and Joju, Japan. 4. 14 Night Orient and Far East Cruise from Hong Kong to Kobe – If you are able to take fourteen days to enjoy one of the best Japan vacation packages, this one is well worth it. Enjoy stops in some of the most amazing China and Japan cities such as Shanghai, Xingang, Dalian, Pusan and Nagasaki. When looking for a cruise from Hong Kong, this is the best one to choose. 5. 7 Nights of Japan – Depart from Shanghai, and enjoy stops in Kobe, Nagasaki, Cheju Island, South Korea. This is one of the best cruises to Japan to choose from. 6. 14 day China to Japan Cruise – Climb aboard in Hong Kong, spend two days in Shanghai, two days in Xingang, China before going on to Pusan, South Korea and Nagasaki, Japan before finishing your trip in Kobe, Japan. 7. Asian Odyssey Cruise – Enjoy this wonderful and luxurious cruise from Beijing, China to Kobe, Japan with stops in Daikin, Shanghai, Pusan and Nagasaki. Whether you are looking for Beijing, Shanghai or Singapore cruises there is no shortage of amazing and fun cruises to Japan to choose from.